Brown Bear ammo is an inexpensive brand of ammo that is manufactured in Russian and the Ukraine. It is very inexpensive and good quality designed for target shooting and combat type situations. 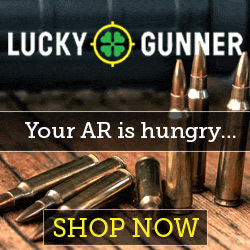 I’ve shot many rounds of Brown Bear ammo through several AR-15’s and AK-47’s with ZERO issues. Here is a great video of the Brown Bear .223 ammo being chronographed. 3 different barrel lengths are used and will show how little velocity is lost from a shorter barrel.